AUSTRALIA has lost its sovereign identity to the United States with its military ties guaranteeing it will “ride the rockets” with them in the event of a nuclear nightmare, Oscar winning film maker Oliver Stone says. Speaking on the eve of the release of an extraordinary documentary involving a dozen one-on-one interviews over two years with Russian President Vladimir Putin, Stone said he now feared the world was sleepwalking toward a nuclear war and Australia was in the box seat. The veteran film maker said from his lengthy in-depth interviews with the Russian leader he saw “from the other side” what the West was preparing and the quiet build-up of weapons guised as “defence shield” missiles made the risk of an accident a real scenario. 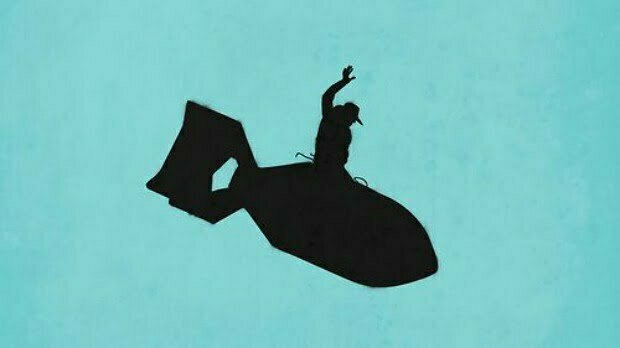 He cited Stanley Kubrick’s 1964 film Dr Strangelove, that satirised the Cold War and a wayward US general who orders a first strike nuclear bomb drop on Russia, as a realistic scenario today. “There is a tremendous amount of confusion right now and we are on the edge of each other, so close, on the borders of NATO that it’s really possible an accident in the Dr Strangelove fashion that could happen,” he told News Corp Australia. “I do believe that could happen, an accident, and number two is the American policy is ultimately one of looking for a first strike option like they did in the old days of the 1960s, where they talk about taking out the Russian capability first,” Stone said. Director Oliver Stone clashed with Stephen Colbert in scenes that didn’t make it to air. He said Australia was too “thick and deep” beholden to the US against Russia, in a manner akin to the way former Prime Minister Tony Abbott threatened to shirt front Putin over Russian-backed militia’s involvement in the shooting down of Malaysian Airlines flight MH17. “I saw that (Abbott shirt front threat), it was typical of the bellicose Anglo Saxon reaction to anybody that challenges your superiority,” he said. “I don’t see the sovereignty in Australia. I imagine you have a feeling about it, you think you have it but certainly if you get dragged into something you will be right there with America, riding the rockets. Stone’s four-part documentary series, to be screened exclusively on SBS from Sunday night, has been described as both the climax of his award-winning career and an anti-American leftist-leaning love-in with Putin. Stone said it took two years to make and Putin made clear there was no question out of bounds although Stone did not see the need to challenge him on detail to remarks on issues including Trump, cyber hacking and the Ukraine conflict. Stone said it would be up to viewers to judge how hard he went as an interviewer. “The approach we had was you catch more flies with honey than you do with vinegar, my approach was more of a dramatist and a filmmaker than it is a news man, I think I’m a bit of an odd ball the way I ask questions,” he said, adding he thought it was that very style that prompted Putin to agree to collaborate on the lengthy project. When asked if the US would now see him as a bogey man for challenging its foreign policies through a Putin prism, Stone said he hoped not. “Not me but I do think I’ve got my fair share (of criticism) this week, it’s a tough week, that’s the American way,” he said. The “Putin Interviews” airs on consecutive Sundays June 18 and 25 at 8.30pm on SBS.